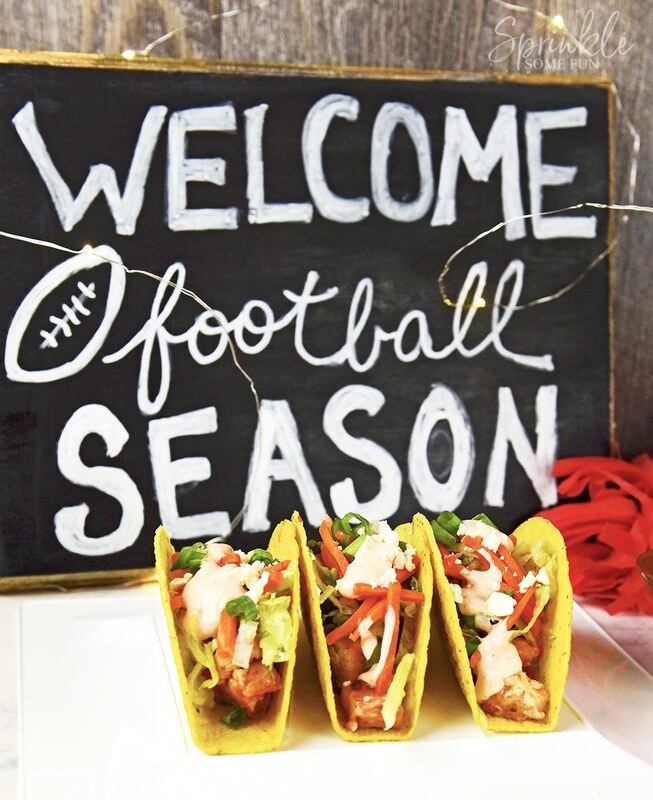 Fall is coming up and it brings to us much more than just pumpkin spice… it’s football season time! That means it’s time for tailgating and cheering for our favorite teams. I particularly enjoy watching college football and I enjoy football themed foods even more! 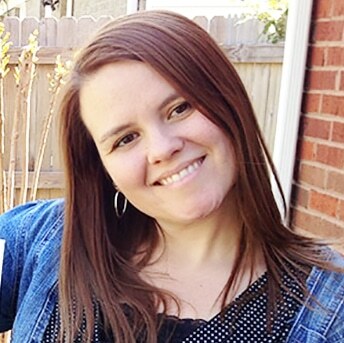 Hot wings, hot dogs, chip with queso and all the appetizers. There are so many foods that make me think of football games. 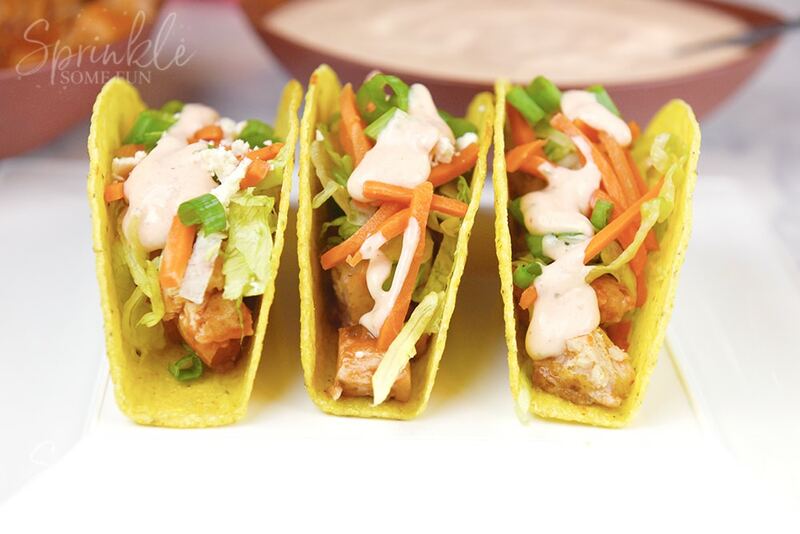 These Buffalo Ranch Chicken Tacos are inspired by Buffalo chicken wings. The ranch gives a little coolness to the spicy hot sauce and the Old El Paso Stand ‘n Stuff Taco Shells make it so easy to fill them up. I think theOld El Paso Stand ‘n Stuff Taco Shells are genius! They stand up on their own to make filling up the tacos amazingly easy. No more having to use two hands. 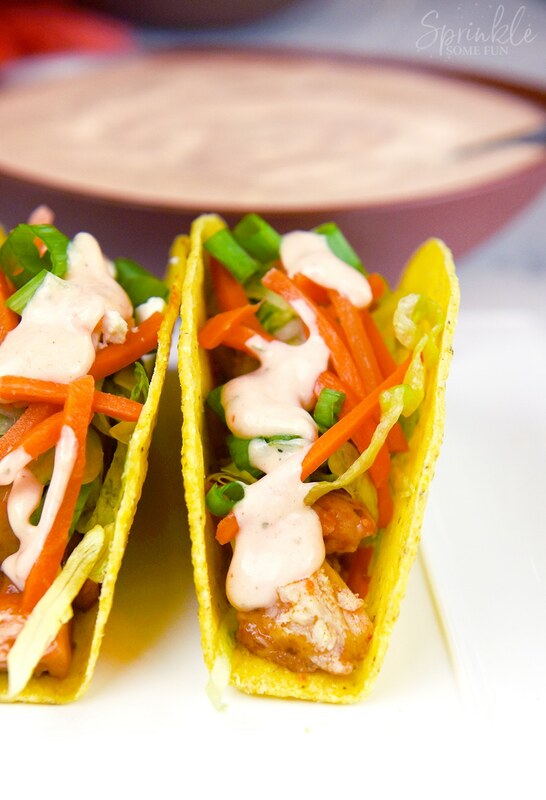 Of course, tacos are always a crowd favorite, so why not make two kinds? 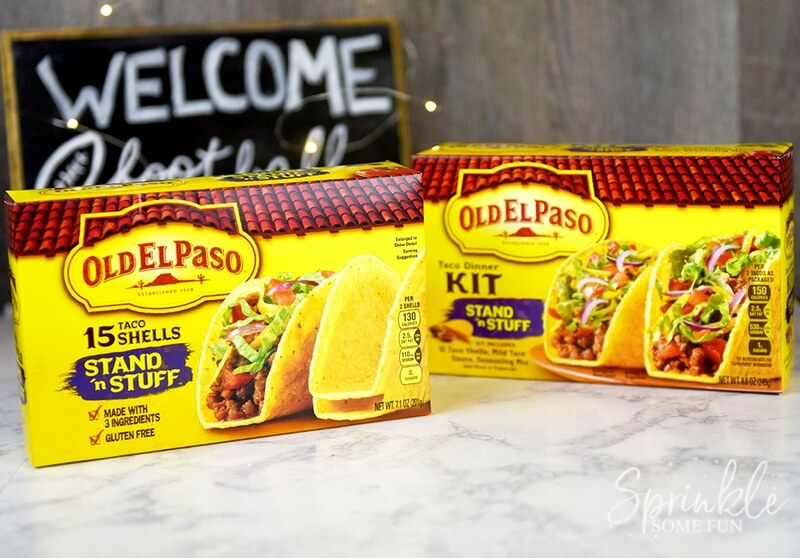 In addition to the Old El Paso Stand ‘n Stuff Shells I found at Walmart, I also found the Old El Paso Stand ‘n Stuff Taco Dinner Kit. This one comes with sauce and seasonings. This is great for when you want to offer your guests a choice between two tacos. This is my new favorite football themed food! I love a good recipe mash up. 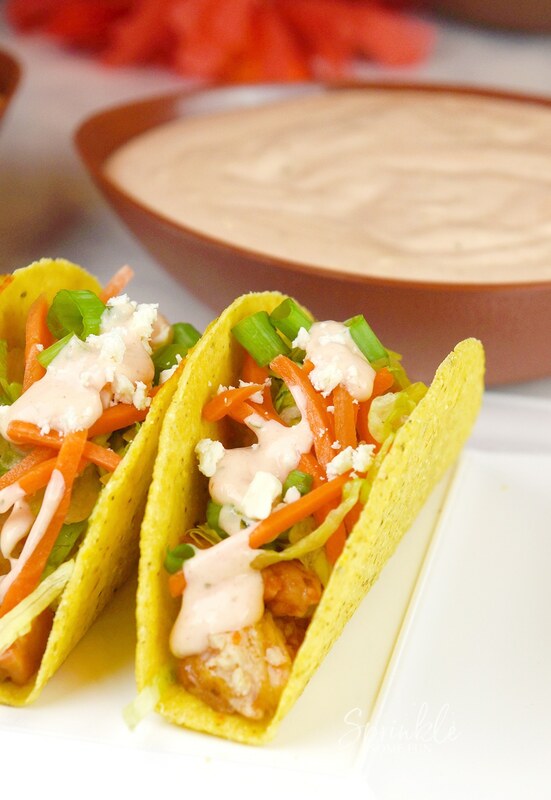 These Buffalo Ranch Chicken Tacos are inspired by Buffalo chicken wings. The ranch gives a little coolness to the spicy hot sauce and the Old El Paso Stand 'n Stuff Taco Shells make it so easy to fill them up. Mix the chicken with 2 Tbsp. of the hot sauce first in a medium bowl. In another bowl, mix the ranch with the remaining hot sauce and set aside. Prepare the taco shells according to instructions. 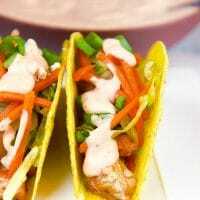 Layer the tacos with the chicken coated in hot sauce and all other toppings as desired. Serve while warm and enjoy!